Have you ever hit the wall as an artist? Have you ever questioned what in the heck you were doing? Have you ever doubted your path as a musician, writer, artist, etc.? Listen to this episode for one simple thing you can do to remind yourself of why you create. 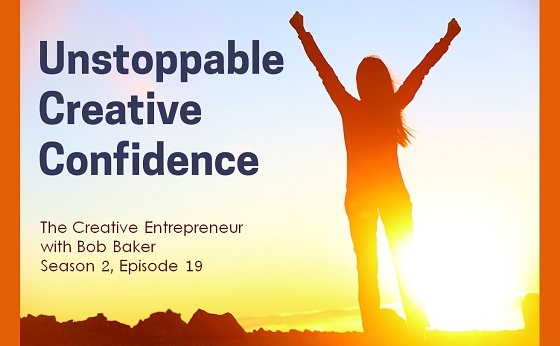 It just might give you Unstoppable Confidence in your pursuit of an abundantly creative life. Good advice- I do have some positive comments, stored away somewhere. Time to dust them off and keep them alive. I love this idea! Makes a lot of sense. Fortunately as a creative person, I've been feeling myself hit a growth spurt in a great way over the past month or two but I vividly remember having some dark times in the past 2 years trying to establish myself as a guitar teacher / author / songwriter. Collecting the positive things that people have written and making it a point to look at these comments seems to be a wonderful way to encourage ourselves on a regular basis especially when the going gets tough.